This is the story of two Alaskan kidney patients – Mark Brody, former dialysis patient and transplant recipient, who died to young of kidney failure and Deb Lestenkof, former dialysis patient and two time kidney transplant recipient, and who created the beautiful logo for Mark’s 2018 Memorial Kidney Walk. 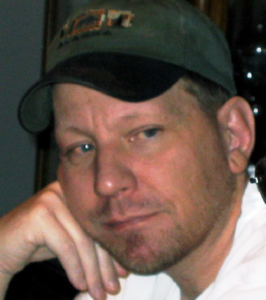 An Alaskan since 1974, Mark passed away at age 44, in 2009 from Kidney disease. He courageously faced a hereditary illness leaving him with kidney failure in his early twenties. He received a kidney from his dad, but suffered rejection. At the time of his death, he was the longest living hemodialysis patient in Alaska. His bravery in his struggle for independence in life was evidenced daily. Mark accomplished much in his short life, in spite of his illness. He was a graduate of the University of Alaska Anchorage with a degree in Accounting and continued his education while on hemodialysis, earning his Juris Doctorate from Lewis and Clark College of Law. He passed the Alaska Bar on his first attempt; however, his health precluded him from his dream of practicing law. Mark’s family has a long history of kidney disease. His mom, at the time of her death, was the longest living kidney transplant recipient in Alaska. This hereditary kidney disease has taken the lives of all of his mom’s brothers and sisters, except for two who received kidney transplant. Seven of his cousins are alive today after receiving kidney transplants. 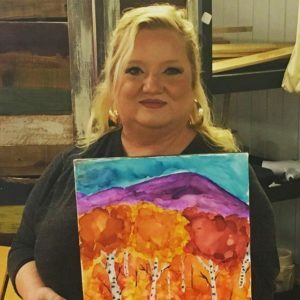 Deb, born in Fairbanks, is a 44 year mom of four living in Wasilla, who has almost completed her degree in social work and in her spare time is an Alaskan alcohol ink artist. When Deb was five years old, she was put on high blood pressure medicine and told one day lose all kidney function. When Deb turned 23, two years after giving birth to her oldest son, Jesse, her kidneys completely failed. When none of her family was a match, she was put on the waiting list for a kidney transplant. After 5 years on peritoneal dialysis, doing treatment at home, she received a kidney transplant. Her transplanted kidney lasted 6 wonderful years until sadly it began to reject and she found herself back on dialysis for 7 more years. In November 2014, she received a call from the transplant center in Seattle—they had a kidney for her.